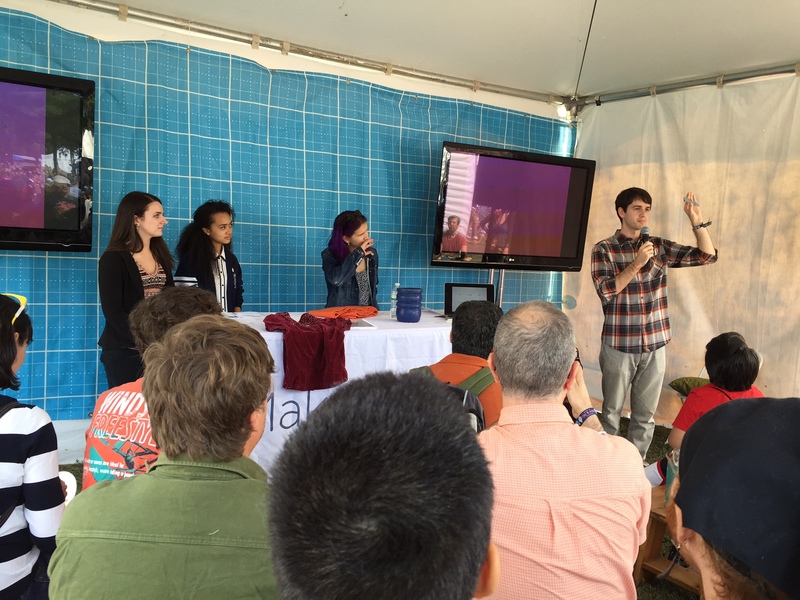 FCS seniors Naomi, Catherine, and Georgia presented “Significant Objects” at World Maker Faire today. 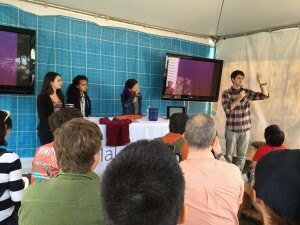 Their presentation offered snapshots of three projects that emerged from conversations in STEAM last spring. The unifying theme of these conversations invited each student to explore the gap between the invisible and visible, the tangible and intangible, and make artifacts (they chose jewelry, clothing, and music) to bridge this divide and reveal the connections between people. The theme at first seemed abstract but through their empathetic, creative approach, each student made an artifact that told a story and shared a bit of themselves. For her project, Naomi collaboratively wrote code to record audio clips, manipulate the data points from the audio recording, then translate the data points into three-dimensional shapes to print on our 3D printer. While working on her project, Naomi navigated conversations at the intersection of programming, math, aesthetics, and physics in her pursuit of creating jewelry that was unique to the voice of its creator. She transformed her own voice — something ephemeral and deeply personal — into something concrete and permanent that she could share with friends. 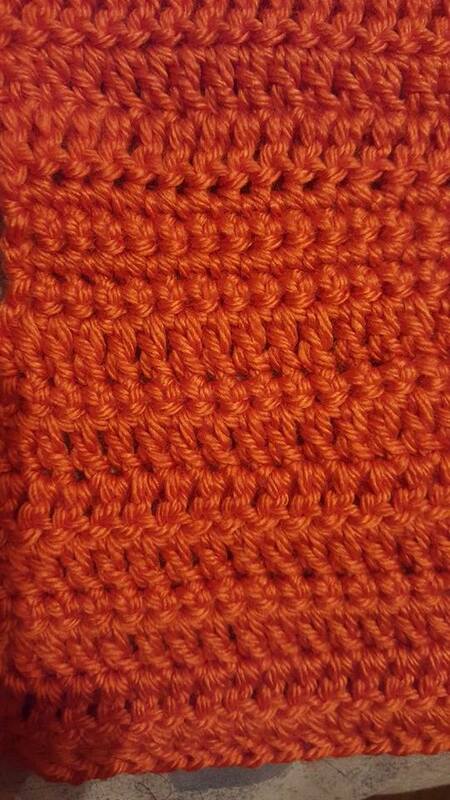 Catherine expressed her ideas on the theme of our project one stitch at a time. She repurposed an old communication technology, Morse code, and used it to embed messages in clothing. 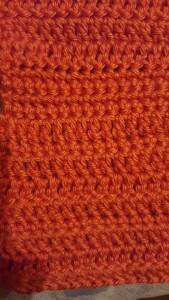 Catherine made this scarf for a mentor who inspired her to find confidence in herself. The message, “You’ll never brave the cold alone,” is encoded with single- and double-crocheted rows representing the on-off clicks of Morse code. The message to the mentor, rather than lost in a “thank you” card, will literally and metaphorically return the warmth and support Catherine felt. Georgia’s interpretation of the conversation took a perspective that was at once larger and smaller: she translated DNA sequences, the tiny biological instructions that guide all living things, into musical compositions. By designing a system to convert DNA bases and amino acids into musical intervals and chords, Georgia made something abstract (DNA) concrete and relatable. Her work allowed us to hear the universal truths of what makes us human, and hear how we are similar, yet different, from other species. The broad diversity of these projects is at first overwhelming. Yet the common thread is that each student found a way to connect the intangible and the tangible, and in doing so create artifacts that had their own stories and histories, leaving a mark on the world. Naomi, Catherine, and Georgia did a wonderful job presenting these ideas and the projects that expressed them at Maker Faire this afternoon. I concluded the presentation with a sigh of relief that the future will be left in such thoughtful, compassionate hands. Super exciting – great work! So cool! Congratulations to you all! I enjoyed the video so much. I’m terribly impressed with the poise and articulateness of all of you. IMPRESSIVE! Congratulations Colin , Naomi, Catherine and Georgia. This is awesome! 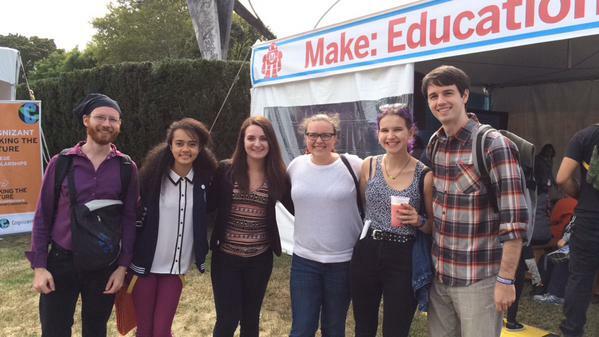 I’m so proud of you guys and the STEAM/makerspace program that I could be apart of!